Jason Marcano, Darren Mitchell and Kishun Seecharan all found the back of the net as two-time defending Digicel Pro League champions Central FC rebounded from last weekend's defeat at Ma Pau Stars to hammer Police FC 3-0 on Wednesday afternoon. 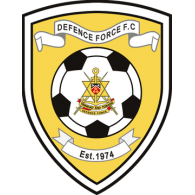 Central (35 points), who have a game in hand against Defence Force, moved within two points of leaders W Connection (37 points) with just three regular games left in the 2016-17 league campaign. Connection took charge of the two-team title chase last weekend with a 4-1 win over Defence Force while bitter Couva rivals Central slipped following their first league defeat of the season, 2-0 against the Stars. But the Couva Sharks were prepared to bounce back from early on and grabbed the lead at the Larry Gomes Stadium through attacker Marcano who headed past Police goalkeeper Adrian Foncette in the 10th minute. Following a volley of first half chances on either end, coach Dale Saunders' men finally got the desired 2-0 cushion on the stroke of half-time—Mitchell completing Jem Gordon's right side move by hitting into the far bottom corner of Foncette's net. 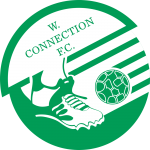 Mitchell was denied another by Foncette on the hour mark, but Central, who strengthened their attempt for a third consecutive league this season with the signing of former MLS defender Julius James and the return of winger Winchester, were already leading 3-0. Foncette's barrier of blue shirts failed him again, and Seecharan completed a tap in from close up three minutes after the break off another Winchester cross from the right. 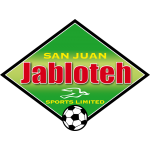 Foncette was lucky eight minutes from time when Marcano headed onto the crossbar, and a minute later substitute Johan Peltier struck wide off a well-placed Marcano cross as Central, who returns to the Malabar venue on Saturday against Point Fortin Civic, continued their dominance. Police, meanwhile, struggling this season without injured striker Makesi Lewis, remain slumped in seventh position on 16 points. 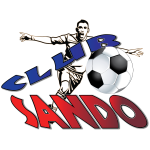 Coach Richard Hood's pairing of attacking brothers Jameel and Kareem Perry up front failed to produce the goods for the Lawmen, who returns to the Larry Gomes Stadium on Sunday against sixth-positioned Club Sando. 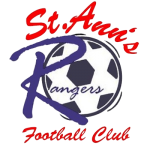 Third-positioned San Juan Jabloteh (26 points), who were virtually knocked out of the race for a top-two finish by bottom-of-the-table Civic on Tuesday, will meet St. Ann's Rangers in the first game of a double-header at the Ato Boldon Stadium Stadium on Friday, followed by Ma Pau Stars against Defence Force. 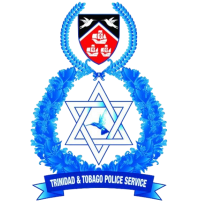 Police FC 0 vs Central FC 3 (Jason Marcano 10’, Darren Mitchell 45’, Kishun Seecharan 48’) at Larry Gomes Stadium. 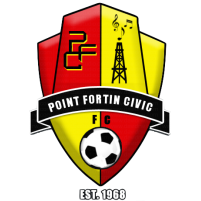 Police FC: 18.Adrian Foncette (GK), 3.Ryan O’Neil, 7.Kareem Perry (Yellow Card), 10.Kareem Freitas, 15.Jameel Perry (Yellow Card) (5.Anton Hutchinson 78th minute), 17.Dexter Alleyne, 19.Christon Thomas (2.Akiel Thomas 60th minute), 20.Elijah Belgrave (Yellow Card), 21.Todd Ryan (Capt. ), 25.Kenaz Williams (14.Kaaron Foster 67th minute), 38.Nequan Caruth. Unused substitutes: 13.Dillon Kirton, 22.Theon Browne (GK), 39.Joshua Leach, 42.Wendell Joseph. 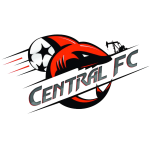 Central FC: 21.Jan-Michael Williams (GK) (Yellow Card), 3.Keion Goodridge, 5.Keston George, 6.Leston Paul (29.Jabari Casaquero 87th minute), 7.Jason Marcano, 11.Darren Mitchell (Capt. 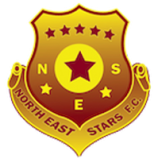 ), 12.Kishun Seecharan (10.Keron Cummings 73rd minute)(Yellow Card), 24.Kevon Villaroel, 26.Mickaeel Jem Gordon, 33.Julius James (Yellow Card), 77.Rundell Winchester (17.Johan Peltier 79th minute). 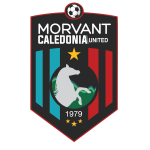 Unused substitutes: 30.Akel Clarke (GK), 15.Kaydion Gabriel, 18.Rhondel Gibson, 45.Tyrik John.